What does Gutenberg actually mean? Before I start this article I feel inclined to add that I am not a tech-y. However, by nature of my job I have had to get on board. And, in truth, I have enjoyed much of my learnings about the intricacies of SEO and the technical nature behind WordPress. That being said, I have clear limits and I was overjoyed that the brilliant (and extremely adept tech-y) Louise Towler, founder of Indigo Tree and all round tech wizz agreed to partner with me on this blog. Conveying her thoughts on the latest WordPress update: Gutenburg. Created, essentially to ensure WordPress can to remain competitive against the likes of Wix and Squarespace from whom it is rapidly losing market share. It aims to make WordPress more user friendly to the layperson (i.e. people like me) allowing us to create far more fiddly and complex websites without having to call upon a designer or developer. The hope is that by breaking up the back-end into blocks of text and images you can be let free to amend and adjust. 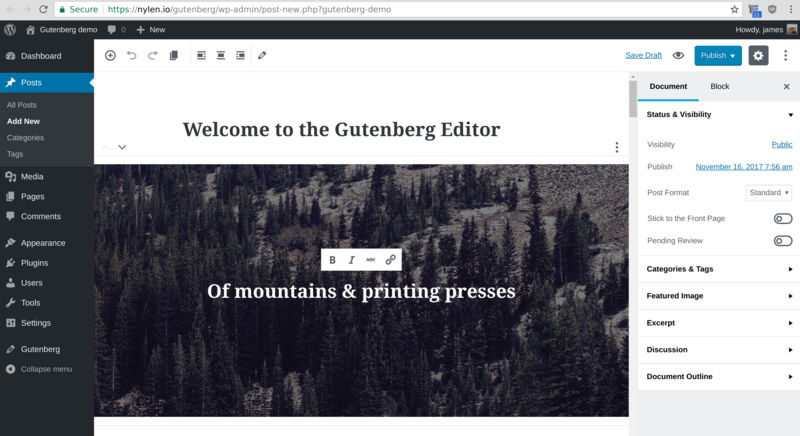 And whilst there is no doubt that Gutenberg will help to make websites far easier to use in the long term. In the immediate term there have been a few hiccups with its development. Having struggled with bugs from the start, it has had a few teething problems particularly in terms of accessibility. In fact, even the Accessibility Team at WordPress have admitted that it’s simply not fit for purpose whilst the head of Yoast has politely suggested that the November 19th release be pushed back until the technology is where it needs to be. In short, there is a fair amount of concern from the design community that this update is being pushed forward prematurely. Not only that, but bear in mind that a number of business owners (such as myself) regularly log in to WordPress to update their blog or add a landing page. Traditionally, this has been pretty simple and relatively intuitive so even a tech novice such as myself could push forward. How can a design studio charge their clients for a change they didn’t ask for and never wanted? But, also how can they not? Offering this sort of training for free to every client would massively overstretch agencies. Also, on a personal note, I know that once a service based organisation starts offering work for free….well it’s a downward slope really. Well for the moment, she will be pausing Gutenberg on her current clients’ sites and instead sticking with classic editor. Which, frankly, from the sounds of it, is what we should all be doing. However, for new clients they will start using Gutenberg from January…And Louise is hopeful and optimistic that by version two Gutenberg will help to make websites far easier to use and be a genuine enrichment to the design community. That being said I would love to hear your thoughts so please do feel free to drop me a call on 0208 629 6465 or an email on helena@helenabaker.com. Although, in truth my talents are rather limited to copywriting in London and Israel so for any developer questions I would probably drop Louise and email at louise@indigotree.co.uk because she’s ruddy marvellous.